So you may have noticed that I was on holiday last week! I had scheduled posts for everyday last week, which I'm happy to say they all managed to post without any hiccups. The signal where I was was absolutely rubbish, which in a way was really good because it meant that no one could contact me, and I could have a proper break from blogging and social media and just relax. Although I did try to get on twitter a few times, and searched my blog to make sure stuff actually uploaded. Naughty me! 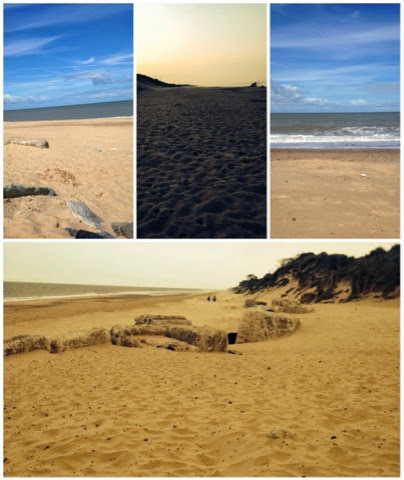 We took a trip to Hemsby, which is on the east coast of England, we had such a lovely time, despite the terrible weather. We actually went for 7 days and out of those 7. One day there and there was a thunder storm, Oh no big deal right? wrong! it absolutely chucked it down to the point that it was flooding and the drains were throwing water back up. Not so nice when your supposed to be relaxing and having a nice time! Apart from that, I think we had the odd rain shower here and there, but it was pretty much sunny the whole time. Lets put it this way it couldn't of been that bad because I managed to get sunburn! I said to my other half, I need to take sun cream, I completely forgot as did he, which ended up in me looking like a lobster! Unfortunately I have really fair skin, perks of being naturally ginger I suppose, so I need factor 50. we only had factor 15 with us, which just wasn't going to cut it! Anyways I thought I would give you a little insight to what we got up to, I'm usually one of those people who takes a million and one photographs... However this time, I just didn't, I also didn't want to be in photographs because I feel like a whale! I must admit it was nice not to be taking photographs, and just forget about everything! We went swimming, I walked along the beach with my other half with my feet in the sea (big mistake might I add, It was freezing). We ate some amazing food! Spent some quality time together, which was definitely needed because he's been working so much, plus it will be our last holiday before Baby E comes along. 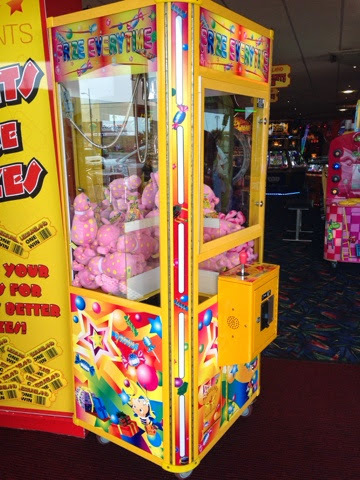 How strange that I managed to find a machine with Mr blobby in? I never thought i'd see him again, I used to be obsessed when I was little! While I was away I developed a craving for doughnuts! I mean come on who wouldn't? when they're freshly made, still hot and covered in sugar! yummy. I think it is safe to say I probably ate my own weight in doughnuts and I am not ashamed of it! Although I really miss them now I am back home. I wish someone had a doughnut shop near me! my other little addiction was 2p machines, Mainly because I've always loved them. I'm so easily entertained, I can play on them for hours and hours without getting fed up. It's safe to say we won about £120 worth of prizes from them. At one point the guy who was monitoring the machines actually asked me to leave because I was winning all the prizes. I thought it was quite rude, I mean surly the prizes are there to be won? My other half thought it was amusing. 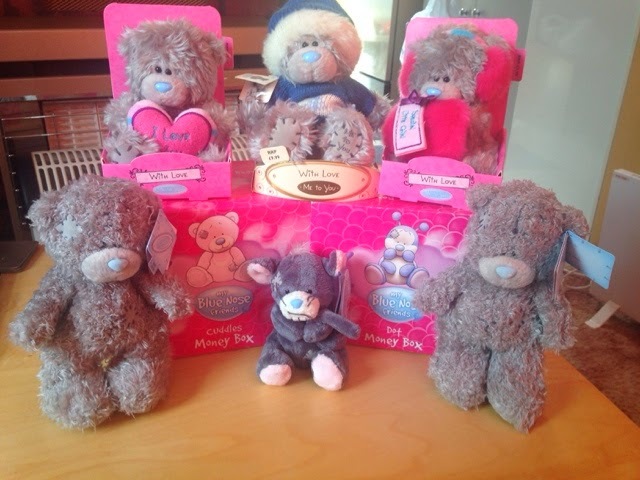 Some of the prizes from the 2p machines! I'm going to stop rambling on and on now! To sum it up, we pretty much did nothing, ate to much food, and spent to long in the arcades! I hope you enjoyed reading this, I tried to keep it short and sweet! I cannot wait to take baby E next year, I'm actually sad to be back to reality! Leave me some comments if you've been on holiday recently, I'd love to have a little nose at your posts!